The fast-casual dining chain bans phones on Tuesdays, but will roll out 100,000 table tablets by the end of this year. In today’s world, foodstagramming is king. Taking a picture of your Grilled Chicken Wonton Tacos seems more significant than actually eating them. That’s why Applebee’s plans to ban smartphones and all forms of technology on Tuesdays is pretty surprising. The chain, which serves more than a million people a day, has submitted a trademark application for something called “No tech Tuesday.” Restaurants often file trademark applications before announcing programs or new items. The casual dining chain won’t be the first to set a rule like this; in the past, restaurants have both fined and given customers 50-percent discounts in hopes of discontinuing the use of digital devices. Then there was that one time a Seattle cafe banned a customer from wearing Google Glass. Ironically, Applebee’s new decree clashes with its plans to install 100,000 Intel-operated table tablets by year’s end. These tablets will allow diners to efficiently pay for their meals, add more drinks and menu items to their order, and play games and music at their table. 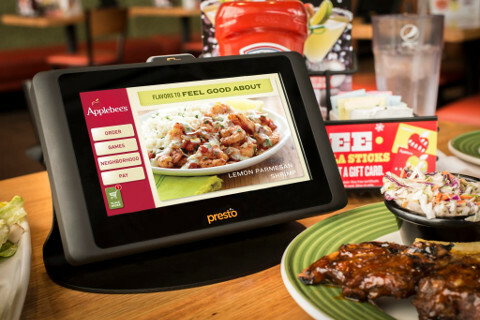 The installation of these E la Carte Presto tablets at more than 1,800 Applebee’s locations will be a record rollout for any business that incorporates interactive technology. Applebee’s has yet to comment on their no-tech rule, or how it aligns with their introduction of table tablets. One thing we can be sure of is that users of WhatsApplebee’s, a social networking app that locates and connects diners when they’re inside the restaurant, won’t be able to chat on Tuesdays. Goodbye, Applebesties.